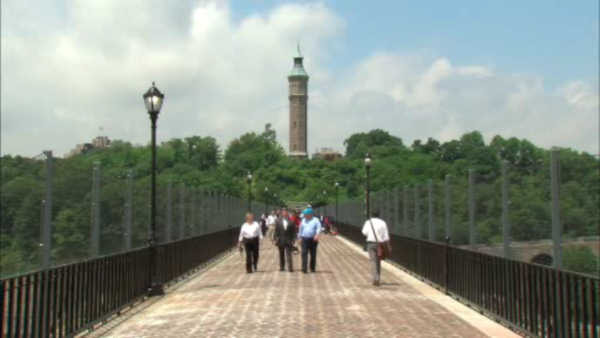 WASHINGTON HEIGHTS, Manhattan (WABC) -- A woman made an unexpected discovery inside of a box in Highbridge Park on Sunday morning - a horse's head. The woman was walking inside the park near 190th Street when she saw the sealed Corona box, and decided to open it. The horse's head was cooked, and there were fruits and vegetables as well as another animal's head inside the box. The woman called police, and ASPCA was contacted.